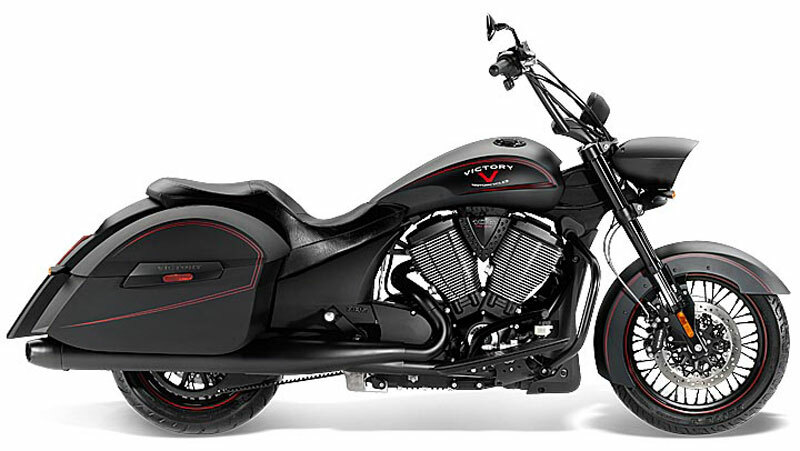 The new Victory custom bagger as arrived. At the heart of Hard-Ball sits the Freedom V-Twin power plant, expertly balanced for perfectly controlled explosions that deliver 97 horsepower and 109 ft. lbs. of hole shot torque. Maestro of the motorcycle world, it’s what keeps man, machine and highway working together in perfect harmony. 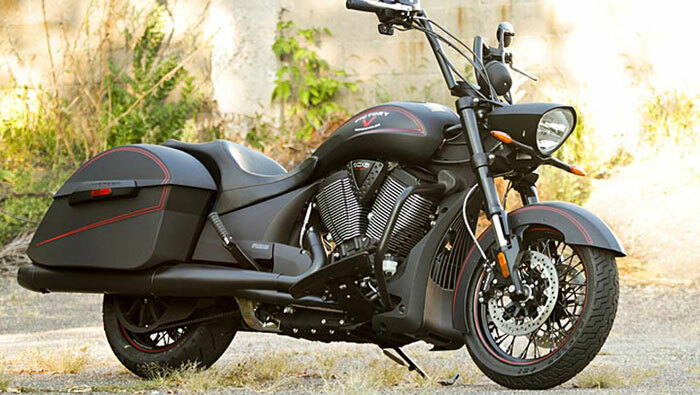 The highest performing transmission on the road receives the power generated by the massive V-Twin and seamlessly turns it into something you can use. Neutral Selection Assist and helical-cut gears ensure every shift is as quiet and smooth as the one before. Make a statement with two fists in the air. These blacked-out apes are what give the Hard-Ball its signature profile. Feel a little less simian? Pull ’em down low for a more relaxed, but no less intimidating riding position. Old-school lace design with a red tire stripe. A style that sets the stage and informs the world what riding is still all about. Throw a leg over a Victory Hard-Ball. Wherever you want to go from here, these wheels will take you. Custom style never came so dark. 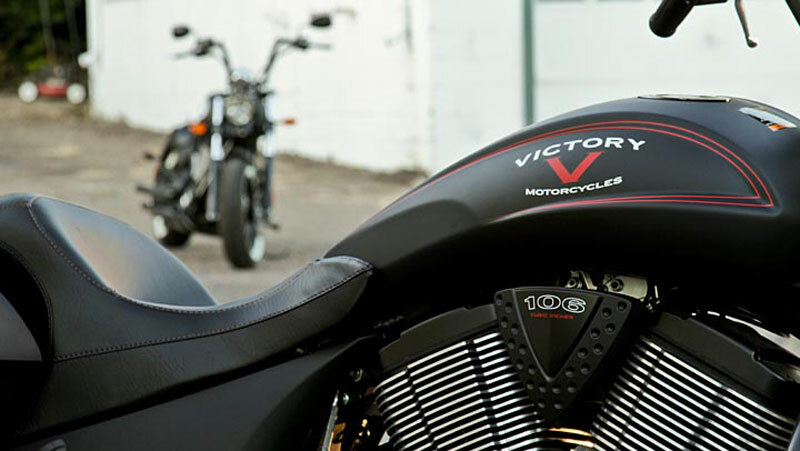 The Victory Hard-Ball and its custom pinstriping design lets everyone know that this bike is built to cross the line. 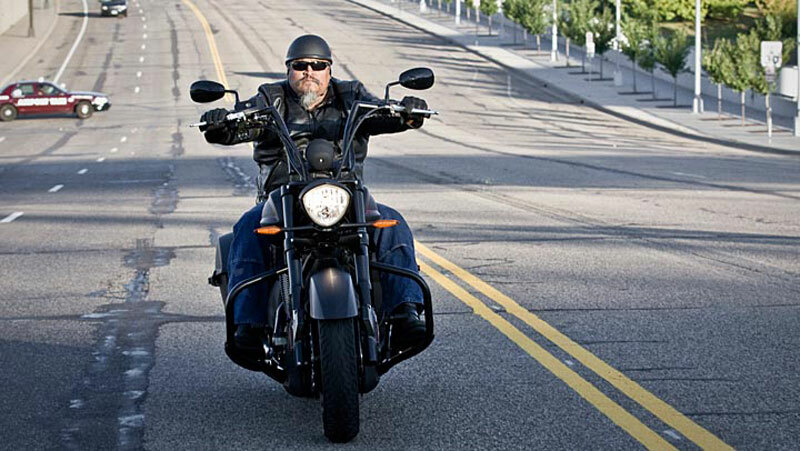 21 gallons of hard bag storage allows you to hit the road for as long as you want. You’ll have plenty of cargo space for yourself and another rider’s carry on if you choose to leave the solo gig behind. 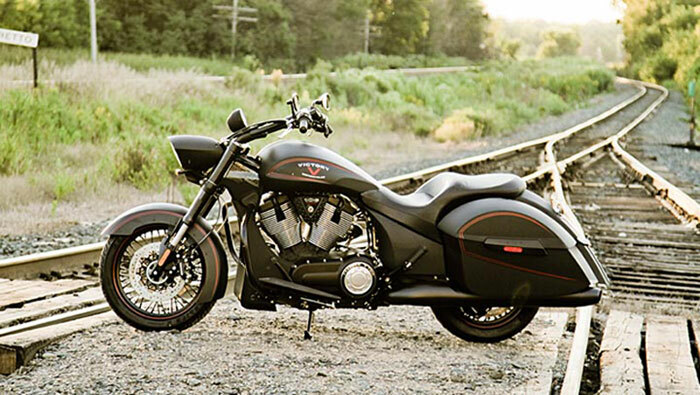 Standard on the Hard-Ball, the Victory Anti-Lock Brake System doesn’t discriminate between dry, wet or rock-strewn pavement. ABS is not for sissies, it’s allowing you and your Hard-Ball to own the road more than anyone else. No matter the conditions, ABS monitors what the wheel is doing and gives you consistent, smooth braking from the handlebar lever down to the rubber on the road.